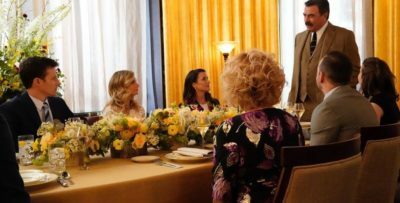 Wednesday night, Criminal Minds will return with a new episode entitled “Chameleon,” and it’s far from an ordinary installment. Not only will this be one of the most powerful David Rossi episodes you’ve come to see on the CBS series, but it marks the directorial debut of series star AJ Cook! This is a gig that has been a long time in the making for the actress, who is passionate about diving into every aspect of production. In this CarterMatt interview below, Cook opens up to us about the challenges of this episode, having to direct herself, and also the recent announcement that season 15 is set to be the final one for the show. This is a subject that we take on further in our video below — be sure to subscribe to CarterMatt on YouTube so you don’t miss out on our Criminal Minds videos and check out our series playlist. 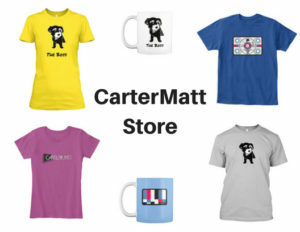 CarterMatt – How is everyone feeling about the final season announcement? 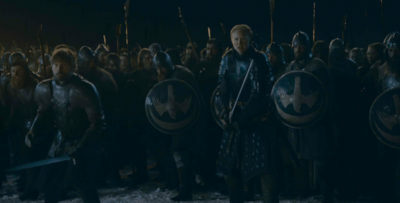 I’ve heard from a lot of people who are sad, but also very grateful that the show is going to have a chance to have a proper ending. AJ Cook – At the end of the day, we’re just glad to have an answer. It’s felt like we’ve been on that cusp for a couple of seasons now and it’s been hard on our crew, because we usually don’t know anything until the last second. I know that we’re just relieved that we have an answer and we can move forward. I think that’s the respectful thing to do, to send this very long-running show off in style and to advertise it as so – that this is the final season. I’m just happy to know and it’s very bittersweet because I’ve played this character for so long. I’ve played this character for fourteen years and I grew up here. I looked like I was twelve when I started the show (laughs). A lot has happened — we’ve seen people get married and have kids. We’ve seen people pass away. It’s been like a family. I know for our showrunner, Erica [Messer], and our writers, the final season is a big task. 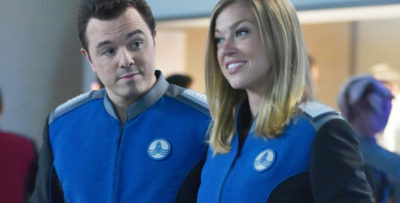 Ten episodes is not a lot of time to wrap everything up, but they are working their hardest and they are going to give this show the best send-off they can. I’m hoping that we get to see these characters in a happy place, and they just keep doing what they do. When did you learn the news about season 15 being the final season? Was it right before the reports broke, or did you have time to prepare yourself? When Erica found out, she called the actors to let us know. I did know beforehand, and we’ve known that this was a possibility and that it would happen eventually. There’s just something about hearing the voice on the other end of the phone say those words — I wasn’t expecting the emotional reaction that I had. But, they weren’t sad tears– it was just an overwhelming feeling of gratitude that I was able to be in this environment and work with these beautiful people for as long as I have. When did you first decide that you wanted to direct an episode? I know there’s a lot of work that goes into just preparing for it, so I figure you’ve probably known you wanted to do this for a while. This has been a lifelong goal for me — I knew from the moment I wanted to be an actor that I wanted to be a director. It’s been a lifetime of waiting and studying and preparing for this moment. There have been a couple of moments in the past where it could have happened, but a couple of things kept it from happening, but I’m a big believer in things happening when they are supposed to and here I am. The stars aligned! I was in the right place and ready to tackle it. It was amazing. I’m kind of a nerd over-preparer (laughs), so directing is right up my nerd alley. It was great! I’m lucky in that I’ve spent a lot of time on-set and I know this show like the back of my hand — I’ve been watching and shadowing directors forever. It was really exciting to take the reigns and go on this wild ride. It was such a unique experience to be there from the get-go and start conceiving these shots in my head. To see it through and seeing those shots through and then editing and going through everything in post, it’s been an amazing education. A lot of people have taken me under their wing and I’ve been very fortunate to be surrounded by a lot of gifted people. They’ve all been so giving and forthcoming. I loved every second of it — it felt like home for me. I’m really looking forward to continuing that journey. It’s a great resource in that so many people around you, from Joe [Mantegna] to Matthew [Gray Gubler] to Aisha [Tyler] and more, have all directed in the past. That’s what I’m talking it — it was an embarrassment of riches. One day we had Simon Mirren directing, and I looked over and Anthony Hemingway was there visiting. I got to talk to him, and another person was Nelson McCormick, who had notes for me when he was directing. I could sit next to him after every shot. I love that people aren’t selfish — they want to pay it forward, and that’s something that I want to do. I’m so grateful that there were people there to help me. What was it about this specific story [for Wednesday’s episode] that excited you? As a director, you kind of get a little bit nervous waiting for that script to come in, being like ‘oh my gosh, please let it be a good script’ (laughs). I could not have been happier. It was written by Breen Frazier, who is a vet around here and such a talented writer, and Charles Dewey, who is a newbie but he was the best. He and I were partners-in-crime through all of this. There was a lot in the script — it’s heavy and we get to see Rossi in a vulnerable state that we’ve never seen him in before. This story is told through flashbacks, so it’s in that format of going back and forth. Initially, I was concerned about there being a lot of jumping back and forth, so I had to make sure that I was prepared for that so on the day, I could make sure those shots would flow perfectly. The script was like a gift on a platter for me, and it’s a big one — there’s stuff that you see in this episode that could come back to haunt us. Did you have the challenge of having to direct yourself in any scenes? That was the hardest challenge for me! I’m so grateful that they wrote me light in it, so I didn’t even have to act until my last two days of filming. I was deep in director zone, and then on those last two days I’d find myself in these scenes, missing my cues because I’d be watching all of the other actors’ performances. I was so locked in on them, so I kept screwing up the takes (laughs). I was not really in actor mode, but I got it figured out. It’s difficult, because you have to just trust people that it looks the way you want it to look. It’s a hard thing to let go, but we got it and I suppose it’s one of those things you get better at with. Is there any talk about you doing an episode in [season] 15? You know what? I would love to, but it’s filled up already. There’s only the ten episodes — but, if someone drops out, I’m definitely available, and this is something that I will definitely continue to do post-Criminal Minds. When I think back to the first 14 seasons, you’ve seen so much. Is there anywhere else for JJ to go? There is something left, and they seem to be tackling it! We’ll see what happens — I’m trusting in the writers that JJ’s going to be okay. There’s some really interesting personal storylines coming up and I love that. The procedural, technical jargon side of it, I feel like I’m really bad at it. That’s not where I shine, so it’s always exciting when I get that really dark, personal stuff that bubbles up. We’re definitely going there. 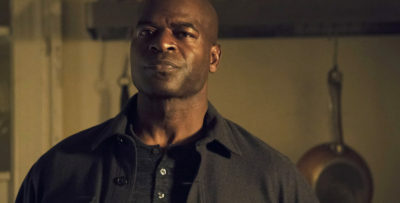 Are you able at this point to really look at the legacy and the crazy run that this show has had while you’re still within this bubble, or is that something that could hit you more after the fact? I’m definitely starting to step back and look at it because, it’s like you said — we’ve been in this bubble. It’s really poignant. 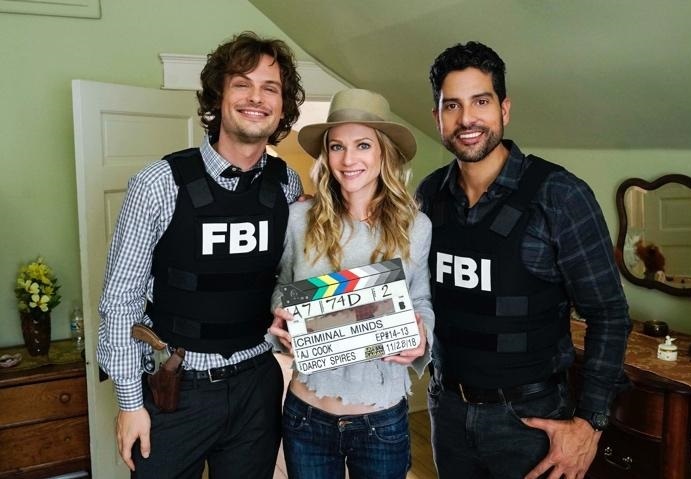 We’ve done this for a long time and a big part of it for me is that because I’ve been playing this character for so long, there is this feeling of ‘what is life after Criminal Minds?’ and ‘what is next?’. It’s been such an exquisite experience and there are just a handful of shows that can claim that they’ve shot this many seasons. What’s been so great is the fan response to it. When people come up to you and say ‘you’re what I put on my TV when I’m away from home, and you remind me home.’ It’s kind of interesting to me because our show is so dark (laughs), but people have really come to love these characters as much as we do. That’s everything to us who have been here from the beginning and working non-stop at this. There’s been a couple of moments where the emotion has leaked out a little bit — I’m trying to compartmentalize because it’s going to be a really hard goodbye. It’s probably going to happen a few more times. It’s been a wonderful, unique experience that only the people here can know. I’ll miss everyone. It’s sad that we’re leaving, but I’m glad that it happened and I’m glad that it happened as long as it did.